A primeval landscape of black lava rocks covered in moss. Pools of chalky, ice-blue healing waters heated by the earth's core. Iceland's Blue Lagoon is mystical and almost surreal to see even in person. It's even been called one of the Wonders of the World. Now, there's a spa hotel where you can sleep overtop of one of the earth's most remote and celebrated wellness destinations. Iceland's Blue Lagoon is man-made; water pulled from the depths of the earth at a nearby geothermal power station, once most of the heat is used, is released into pools in the lava field. The water re-absorbs into the earth, completely renewing itself every 2 days. The released water in the pools is still delightfully warm - 39°C/102°F - and rich in minerals and an algae that gives the lagoon its opaque blue color, as well as a healthy bacteria that's only been found in the Lagoon. 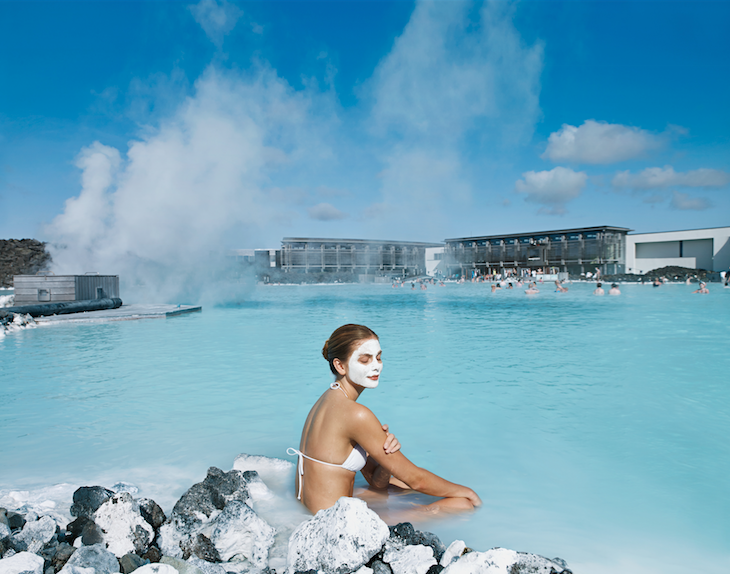 With a far-north European tradition of sauna, spas and bathing, the Blue Lagoon quickly became a local hit with Icelanders. 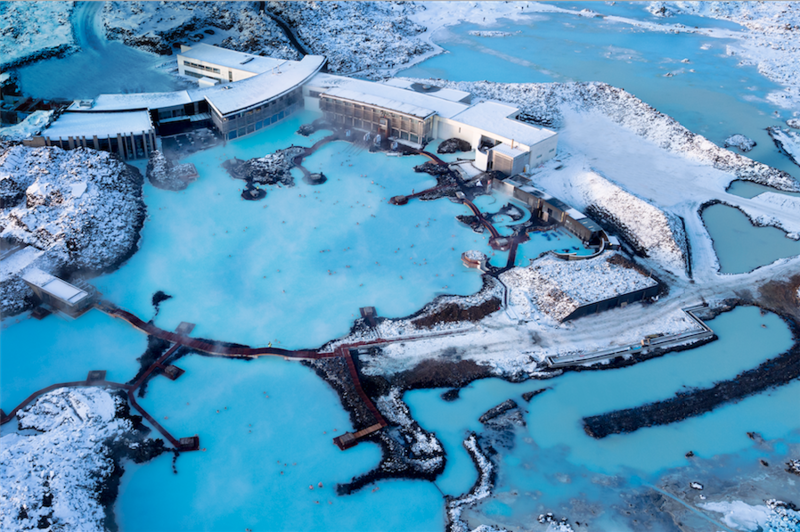 Bathing or swimming in the Blue Lagoon is believed to be wonderful for your skin and overall health and wellness, especially when breathing in the pure Arctic air all around. It's also an unforgettable outdoor spa experience. 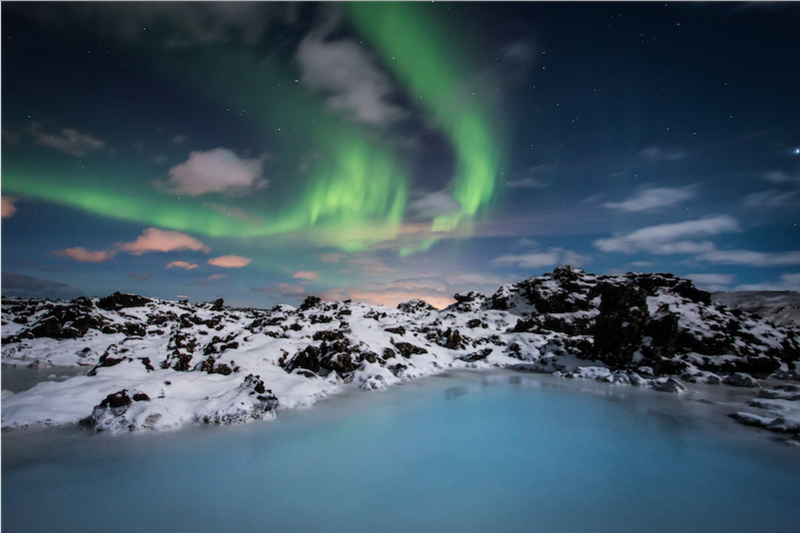 Pro-Tip: The Blue Lagoon remains open in the evening, so an afternoon visit that extends into the evening lets you enjoy the Blue Lagoon colors in the daytime, then Northern Lights dancing in the sky in the winter, or the midnight sun in summer months. 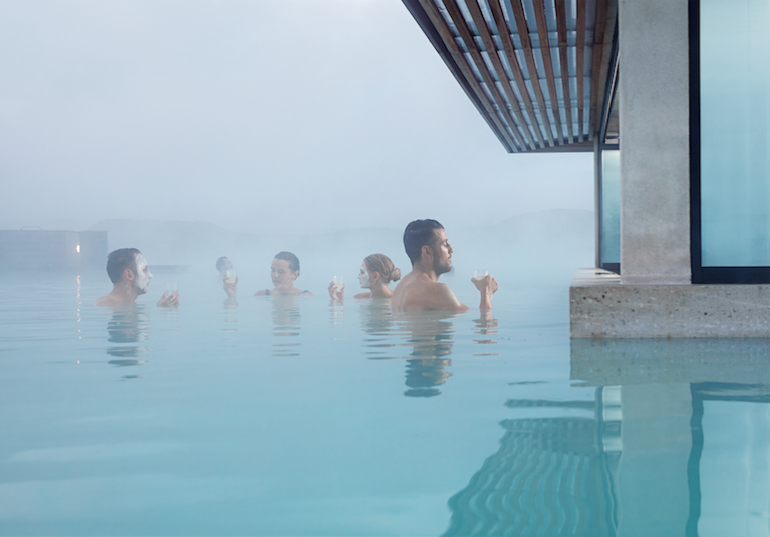 Until 2018, the Blue Lagoon was mostly a day trip to the other-worldly environment and minimalist design of the Blue Lagoon's spa. Wood and lava construction materials, exposed lava cliff walls, waterfalls between lava pools… it almost feels like a science fiction destination! 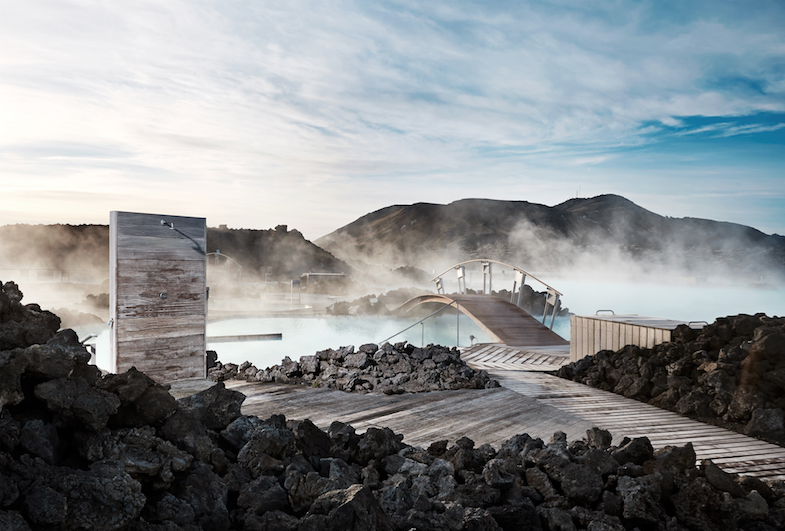 There has been a nearby overnight option, the adults-only Silica Hotel a 10-minute walk from the Blue Lagoon with its own private bathing lagoon. 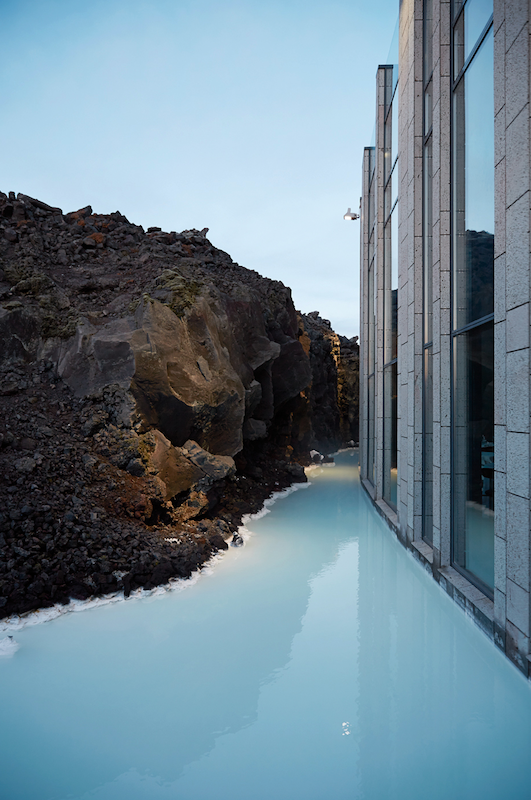 But for the height of romantic, luxury spa retreat, nothing can match the new Retreat Hotel on the Blue Lagoon itself. Opened in 2018, it's an exclusive spa-within-a-spa concept: luxury hotel with private suites – two of which come with your own private lagoon. 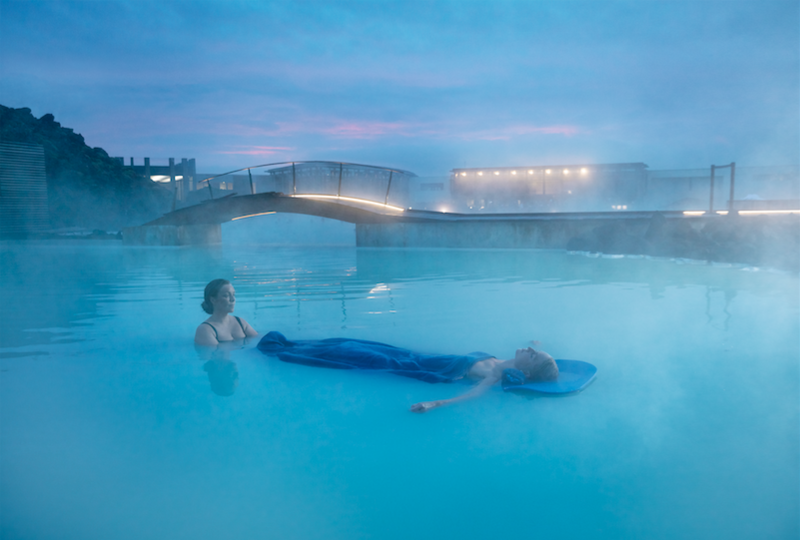 the Blue Lagoon 'Ritual' of treatments based on the rejuvenating powers of the Blue Lagoon's three natural wonders: silica, algae and mineral in three interconnected chambers. And of course the geothermal seawater. You may dream of overwater bungalows in the South Pacific or the Caribbean, but this uniquely Icelandic overwater hotel will transform your sense of well-being as well as your concept of over water resorts. Pre-booking for any guest is required, the earlier the better before your trip as daily admissions are limited to ensure the quality of your experience. 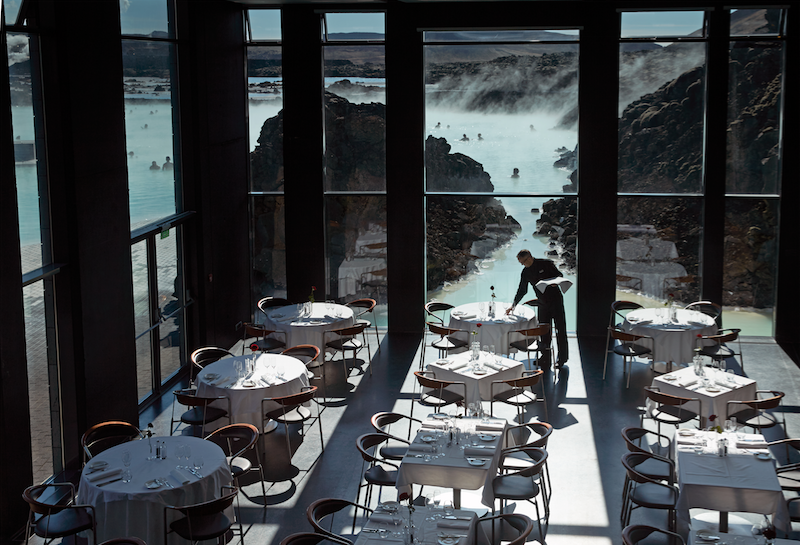 The Blue Lagoon is 15-minutes from the Keflavík airport, and half an hour from Reykjavík. That makes it the perfect first or last stop in Iceland, whether you're taking a cruise, tour or traveling privately through the country.